Gorilla Trekking in Africa is one of the most incredible experiences on our travels. Tracking mountain gorillas in their natural habitat is a lifetime experience. Not only because of the remote nature of where mountain gorillas reside but because of the hefty cost of going on a gorilla safari. 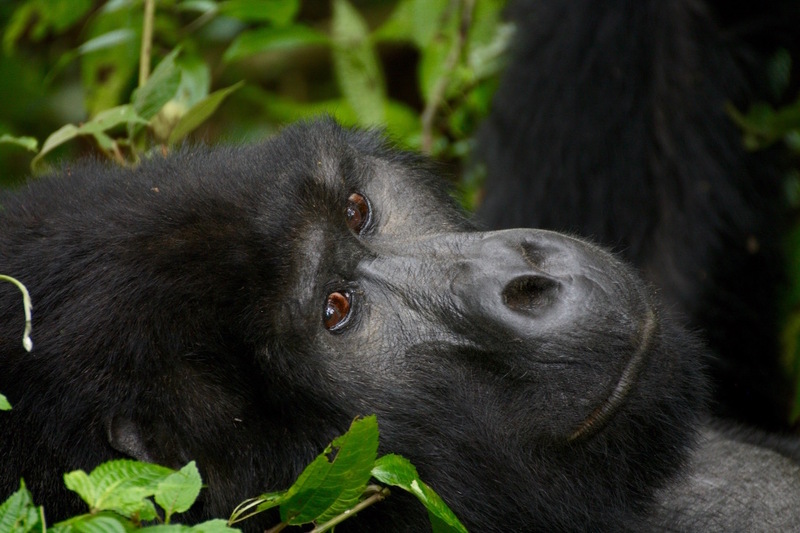 There are there are three countries to experience a gorilla trek: Uganda, Rwanda, Congo. We decided to pick a trek in Bwindi National Park, Uganda. Is it Worth Going on a Gorilla Trek? 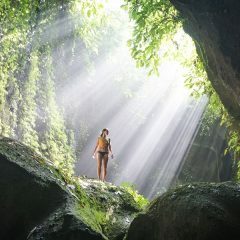 After an hour of walking on a proper trail carved through lush jungle, our armed guards and guide led us into the bush. There are rolling hills on each side us, with more valleys on the other sides. Using machetes, they carve a path. We bushwhack over to the next valley before heading over to the next valley once again. The guide is staying in constant contact with the trackers who are one mile ahead. Eventually, we get close enough to the trackers that we can hear their calls over in the next valley. The gorillas are close. The excitement builds. Just minutes later, we see a huge tree shaking. 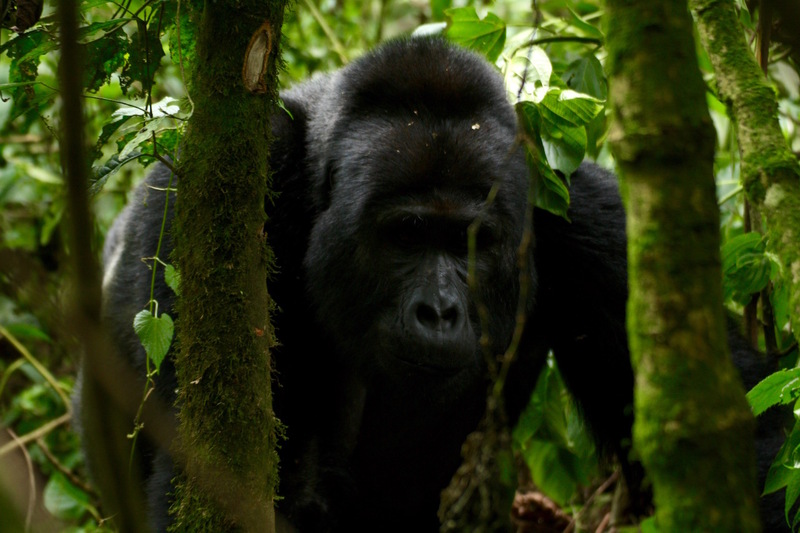 When we first see the mountain gorilla, panic ensues. Everyone rushes in, pointer fingers erect, cameras out, ready for a show. 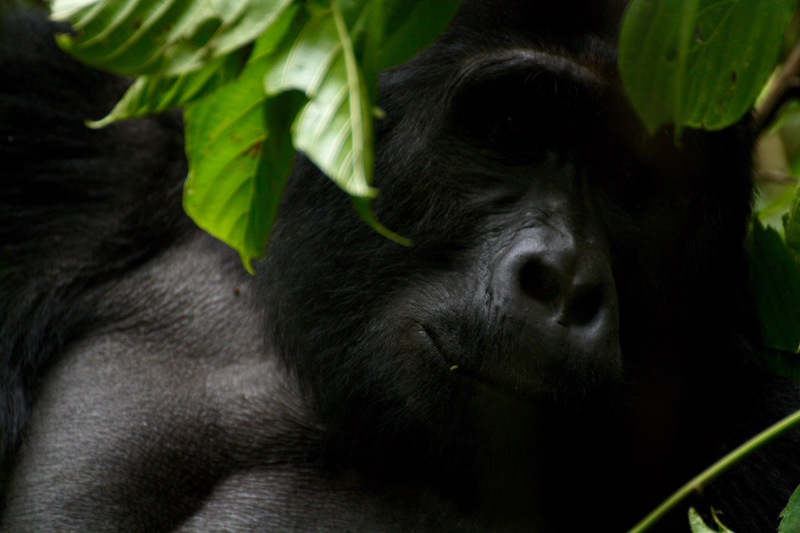 Seeing the gorillas is not just everything we could have hoped for, it’s also more. To see their movements, their massive size, their interaction with one another, their facial expressions, their hands, and most of the time, their eating habits, is an experience we will never forget. The mountain gorillas are stunning creatures that left a lasting impression. 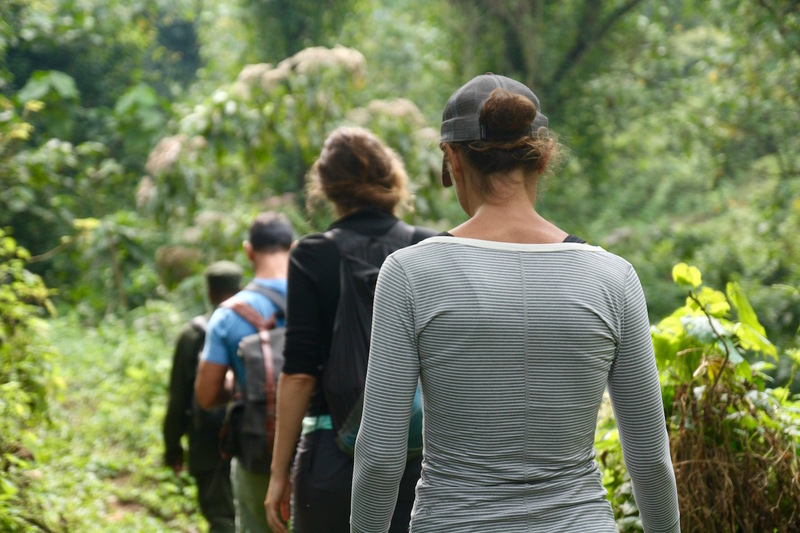 These treks are to see the rare and endangered mountain gorillas. 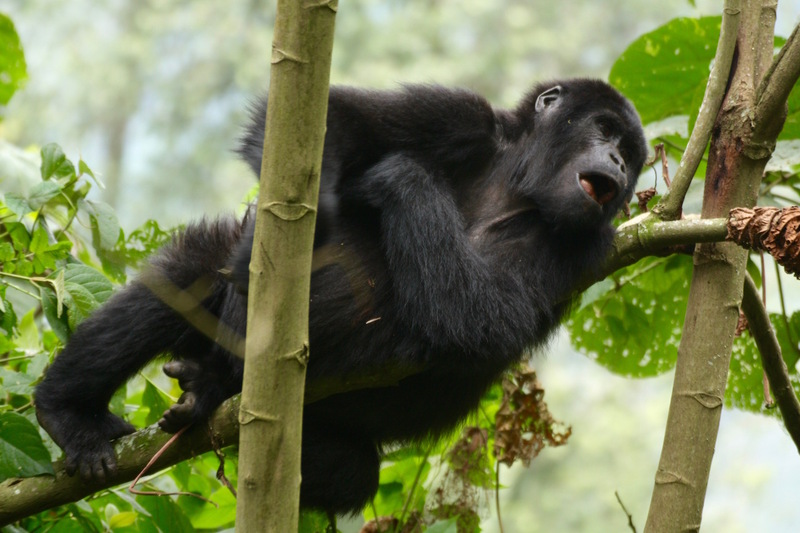 While there are lowland gorillas throughout Central and parts of Western Africa, there are only three countries in Africa to see the mountain gorillas. Only 880 in the World remain. 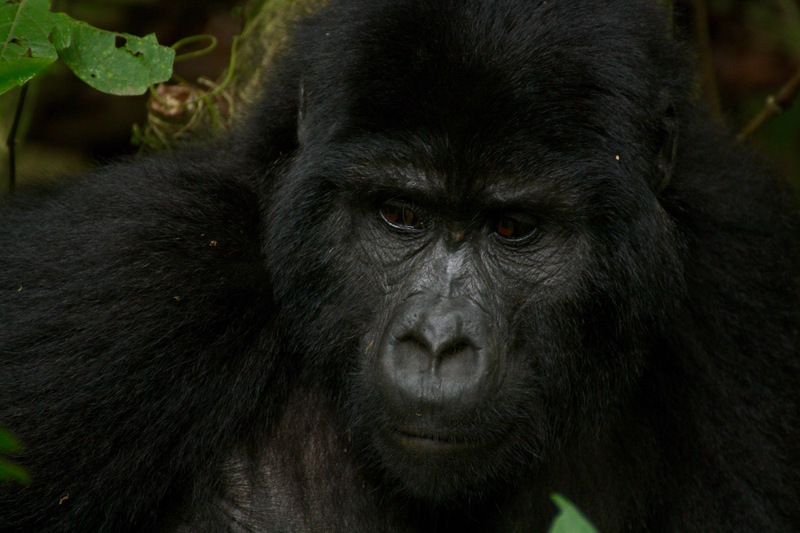 You can find them throughout the Virunga mountains which border Rwanda, Uganda and the Democratic Republic of Congo. 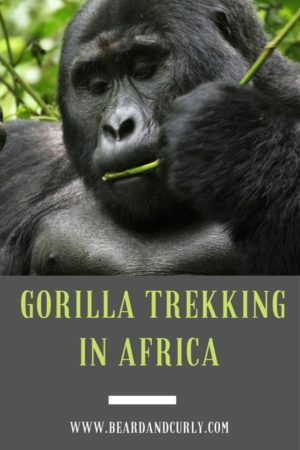 Each of these countries offer gorilla treks, within their own respective national parks, Volcanoes National Park, Bwindi Impenetrable Forest National Park, Mgahinga Gorilla National Park and Virunga National Park. The gorillas all live within families, which can range in size from just a few to about 20 gorillas. Rwanda is the easiest place to access all four parks. While possible to fly to Kampala or Goma, Kigali is easiest to get to these parks. As a result, trekking in Rwanda is most common and the easiest from a logistical standpoint, but it is the most expensive. Just a 2 hour drive from Kigali is Volcano’s National Park. Congo (D.R.C.) is not difficult to get to, where you can take a bus or car 3-4 hours to Gisenyi, Rwanda. From Gisenyi you cross the border to Goma, where the Virunga trek starts from. Congo (D.R.C.) is the cheapest option, but of course requires you to go to Congo and can come with some safety risks. Uganda is priced in the middle, but the most difficult to get to. Both Mgahinga and Bwindi are remote in the Southwest corner of the country. Both are a 6-7 hour drive from Kigali. However, Uganda contains the most gorillas, half of the remaining 880 mountain gorillas. Location is obviously the first decision to make. 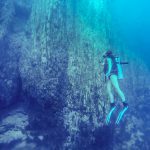 Pick the National Park of choice then specific arrangements can follow. Tours can be arranged starting from Kigali. Private transfers can be hired or public buses (matatu) can be taken to each of the National Parks. Due to high demand for these treks, it is recommended to always book before arriving to have permits set for your specific dates of interest. Each park has different arrangements. In some cases, you can book ahead of the exact family you are going to see. In other cases, you arrive on the morning of your trek and the park will assign groups and your family for the trek. Just across the border of Gisenyi, Rwanda is Goma, the base for all activities in Virunga National Park. The D.R.C. comes with some safety risk as every few years there has been risk of rebel groups, however, besides a period in 2012 and 2013, Virunga has been safe and heavily protected. Goma likewise has been safe and with thousands of U.N. soldiers present. Virunga is the cheapest option and easiest to get permits, especially with shorter notice. Goma is a large city with accommodations, restaurants, and supermarkets, yet surprisingly it is expensive. Gisenyi, Rwanda has many options for rooms in town or lakeside, with rooms ranging from $12 USD to $20 USD. Goma D.R.C. is a large city with many options one of the cheapest is Tony’s Guesthouse right in the center of town, with rooms from $20 USD to $35 USD. Security Update 2019: Virunga is currently closed to tourists until further notice. For updates visit Virunga NP website. Volcanoes NP is next to the city of Ruhengeri more commonly known by its prior name of Musanze. A large town in Rwanda, Musanze caters to budget backpackers and high-end customers alike. 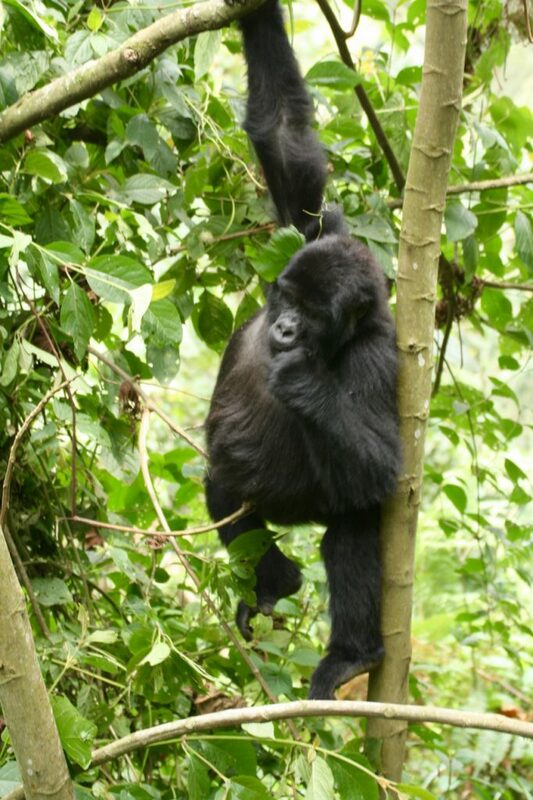 Tours originate from Musanze just 16km from the National Park in the village of Kinigi. Kinigi also has some lodging available. 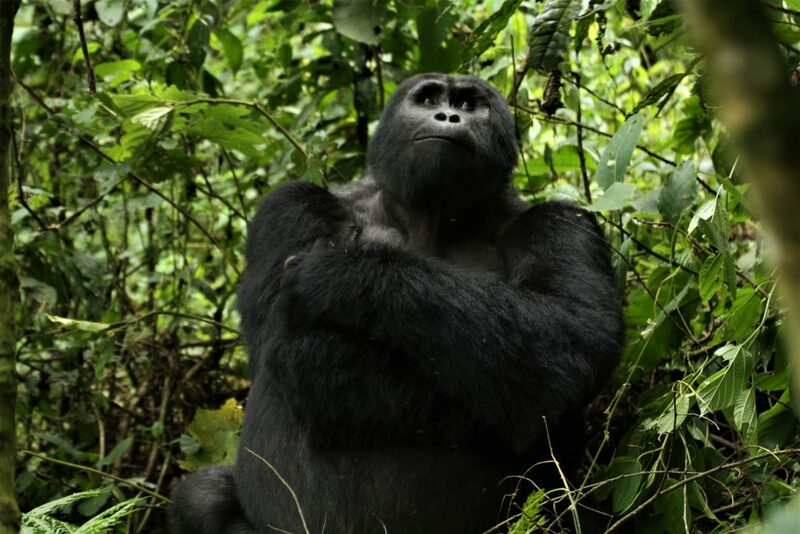 Rwanda is the busiest of these parks for Gorilla Trekking so make sure to book well in advance for your Gorilla permits. Where to stay: Musanze has several options for budget rooms. Fido’s Guesthouse offers rooms for $25 USD which includes a wonderful breakfast. Bwindi is a gem in the Southwest corner of Uganda. It contains Africa’s oldest rainforest and is a few hours from the border of Rwanda. 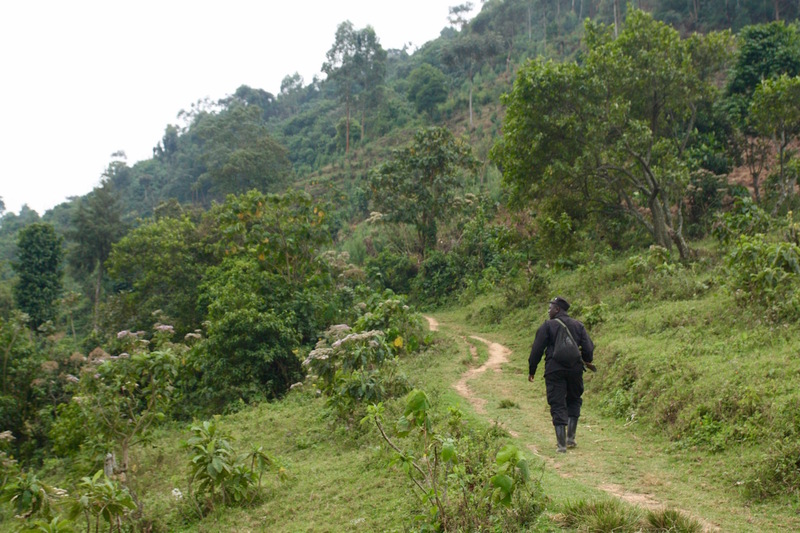 Bwindi has beautiful rolling mountains surrounded by valleys rich in agriculture. 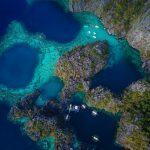 Only a small village sits outside the park with options for accommodation and has everything from budget backpackers to upscale lodges. COST: Gorilla permits cost $600 USD per person. During the low season in April, May, and November permits cost $450. Where to stay: Bwindi Backpackers offers camping at $10 USD, dorms $15 USD per bed and rooms starting at $30 USD. If you add the full board meal plan ($25 per person per day) and stay two nights, they will include private transfer one way to or from Kigali. Mgahinga is the smallest of these parks. Bordering Rwanda, this park has three scenic Volcanoes including Sabinyo, which borders all three countries. Mgahinga only has one habituated family, however, due to its less dense vegetation is known for better photography. For us, it was definitely worth it. Our experience was incredible and seeing these creatures in the wild was astonishing. What is also is astonishing is the cost of the experience. I truly hope most of the money goes to help maintain a safe place for the mountain gorillas. Would I do it again? No, I think once is just fine. If visiting Virunga National Park in the D.R.C, don’t miss the amazing trek to the Nyiragongo volcano, one of only five active volcanic lakes in the World. Nyiragongo has the World’s largest lava lake and is active 365 days a year. 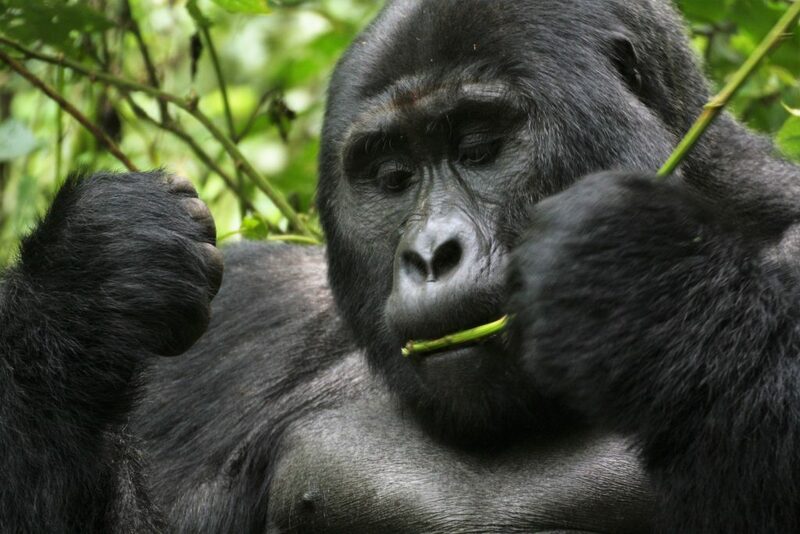 Going to Uganda to see the Gorilla in their natural environment is number 1 on my bucket list. Your post is so detailled I did not even know there were also all these places where we could meet them. 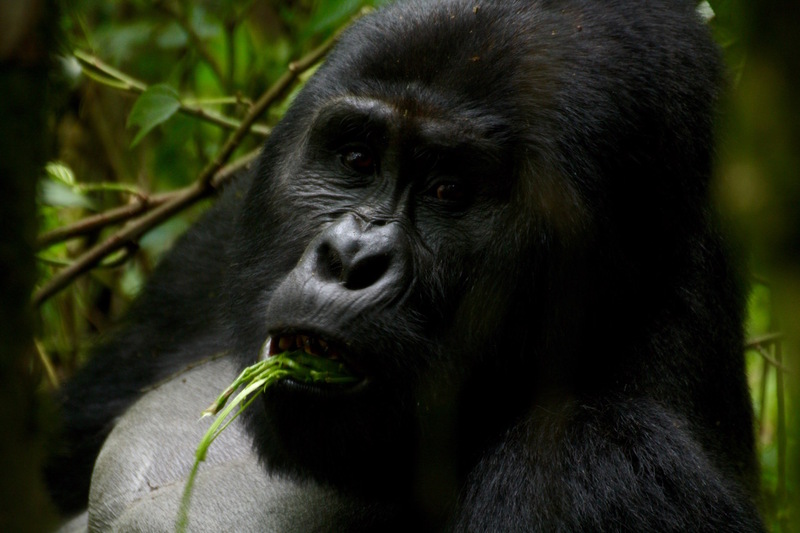 We went to Bwindi Backpackers in Uganda and arranged for gorilla permits through them. We paid $600 USD for the permits, and for a double private room (and board) for two people was $80 USD per night. Staying two nights includes a free transfer from Kigali. They have camping/dorm options that are cheaper, but it is difficult to find food in the area, so the full board meal plan was important. Gorilla trekking is expensive, the only way to get it cheaper is going in April/May in Uganda the price goes down to $450 (low rainy season). Hope you enjoy your trip!